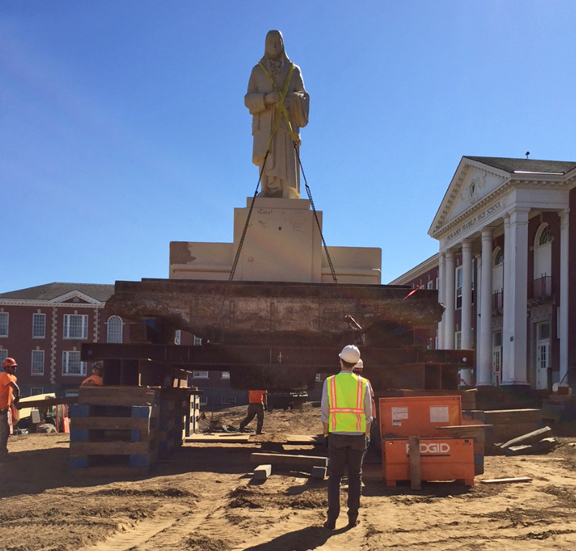 After standing in situ for 100 years, the massive namesake of Franklin High School is on the move. He’s making way for major renovations, accessibility and modernization currently under construction. As the landscape architects of this project, we trust that Ben will find his new position in the main activity area of the campus satisfying, with a proper purview over school activities, sporting events and new site improvements. And who knows, maybe some kite flying? Mayer/Reedies joined over 40,000 people who walked, biked or rolled over the Tilikum Crossing during Bridge Pedal 2015. It was a beautiful day and amazing way to celebrate our city of bridges. 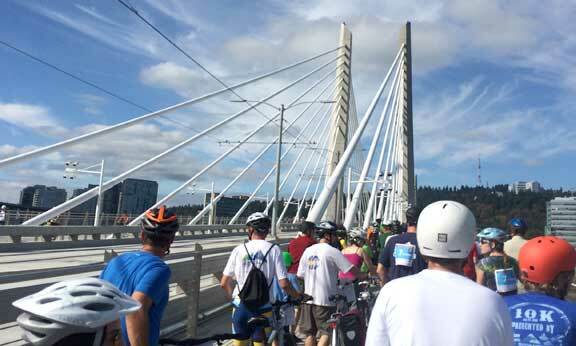 We’re counting down to the opening of Portland’s newest bridge—just one month from today! A recent Daily Journal of Commerce article highlights the role that landscape architects had in designing the MAX Orange Line. In addition to Mayer/Reed and CH2M who were mentioned in the article, several other landscape architects participated in the light rail line design, including GreenWorks who worked closely with Mayer/Reed on the east side.